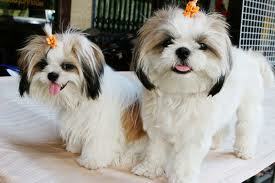 Shih Tzu puppies are very adorable and are considered one of the best pets even for kids. Such puppies are great companies though they are a bit stubborn when it comes to training. That is the reason why it is necessary to learn more about Shih Tzu puppies care tips first before deciding to bring home one. This is to make sure that the puppy is properly taken care of and that it is provided with everything it needs. 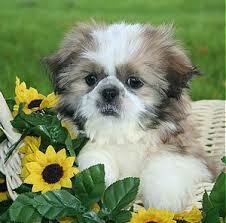 Taking care of Shih Tzu puppies is very easy, as long as you know what to do with it. Take note that shih tzus require lots of attention or they will end up depressed. Then again, having sufficient Shih Tzu puppy care information can already give you an idea on how to deal with such pet and how to take care of them properly. 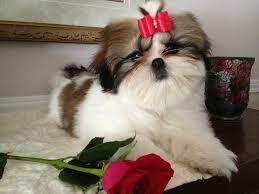 Shih Tzu puppy care housebreaking is part of your responsibility as pet owner, so make sure that you do not neglect it. As an owner of a shih tzu, you have to make sure that you teach them basic commands like stop that and no. according to experts, shih tzus respond faster when they hear the sound of ‘ee’, so make sure their name include this vowel. It is also important to keep a shih tzu puppy care sheet so that you are sure that you are giving it consistent care and that you are not missing on anything. When it comes to its food, make sure that you are feeding it with the same food provided by its seller. Remember that these puppies have sensitive digestive system and since it is underdeveloped, their system may not be able to cope with abrupt dietary changes. Ensure that you have enough information when it comes to its food before bring them home from a pet store, dog shelter, dog rescue unit, and breeder or even from your friend. Shih Tzu coats should be brushed on a daily basis to prevent it from tangling and causing irritation, as well as hot spots to their sensitive skin. Its face should also be cleaned daily using a damp cloth to get rid of food particles, particularly around the area of the mouth. 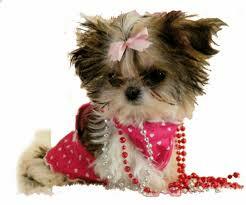 Residues from the eyes should also be eliminated, as shih tzus are prone to eye infections. Part of Shih Tzu puppy care guide is proper bathing. Make sure that you wash your pet every 4 weeks to keep it clean. Use a shampoo for long hair and rinse out the shampoo completely to avoid dog skin problems. Your Shih Tzu’s toe nails should be clipped on a monthly basis. Clipping can be done by you or you can take your pet to a groomer if you cannot handle it on your own. 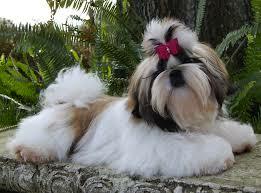 It is also necessary that you visit a groomer at least every 2 or 6 months to maintain the length of your pet’s hair. Taking your pet to a veterinarian on a regular basis is also essential in order to prevent any health problems. Vaccines should be given to prevent any illnesses related to canine. These vaccines will also help prolong your pet’s lifespan. Taking your pet outdoor for some exercises is also helpful in order to maintain its health. Make sure to take your pet out for a walk at least 15 minutes a day. Shih tzus’ are also prone to respiratory problems and hereditary diseases, so in case you notice something unusual with your pet, make sure to take it to a veterinarian as soon as possible to address any health conditions immediately. These are just some of the most essential parts of Shih Tzu puppies care that you need to pay attention to as pet owner. Remember that neglecting any health condition, even the minor ones, can risk your pet health and shorten its life. So if you want to be with your pet for longer period of time, make sure to pay utmost attention to its health, especially when it is acting peculiar.